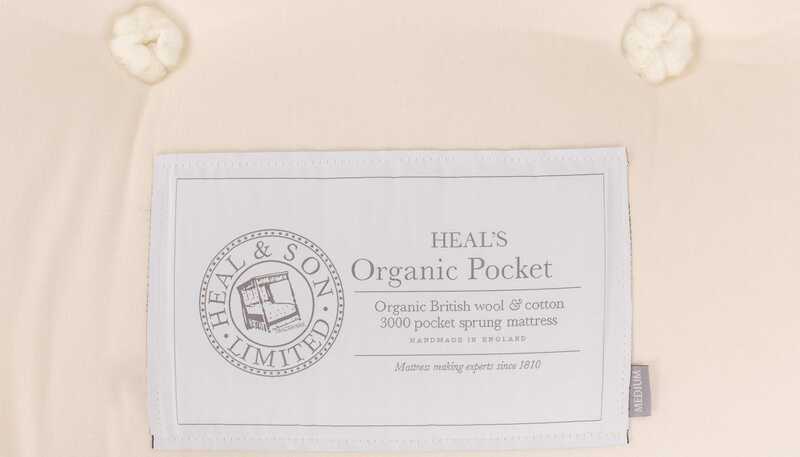 The Organic Pocket 3000 is our most natural mattress to date and is handmade in Lancashire at a factory that has been awarded the Manufacturing Guild Mark presented to Britain's top 50 furniture and furnishing manufacturers. Such attention to detail begins with the fillings, a mixture of organic wool, cotton and flax that is grown without the use of harmful pesticides or chemicals for a healthier, naturally temperature regulated sleep. 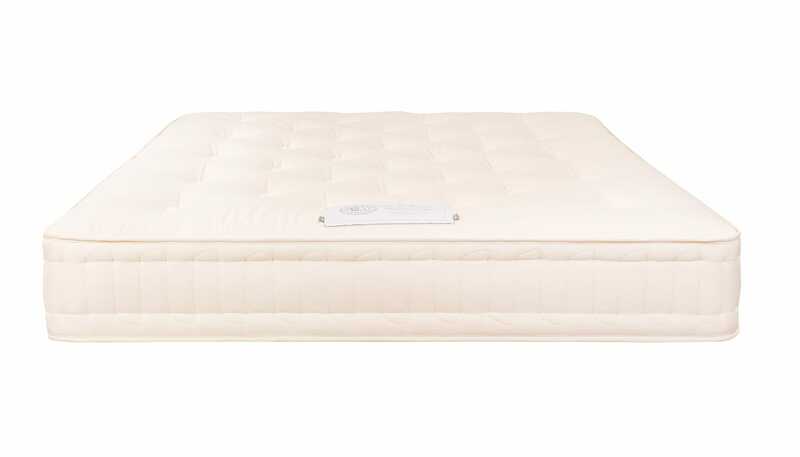 Available in medium or firm tension, each mattress features 3000 traditionally honeycomb nested pocket springs that offer independent support for each sleeper and minimise roll together thanks to the binary pocket spring construction. Upholstered in a subtle, chevron pattern on organic cotton, each Organic Pocket 3000 is tufted and side stitched by hand before being finished with solid nickel ventilators for added breathability. Medium feel conforms to the natural shape supporting specific points, best for those who change positions giving a supportive yet gentle feel. 3000 traditionally honeycomb nested pocket springs offer exceptional support for each sleeper allowing you to move freely without disturbing your partner. Soil association certified organic all ticking is grown without the use of harmful pesticides and chemicals making this our most natural mattress. Generous amounts of sumptuous organic wool and cotton provide comfortable softness while regulating temperature, keeping you warm in winter and cool in summer. 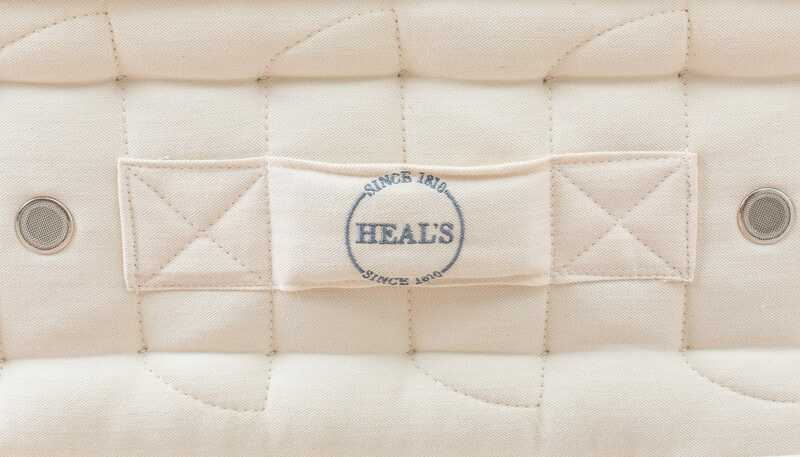 Hand tufted and beautifully tailored in organic cotton ticking by experts to create the precise level of firmness and keep fillings in place. Finished with solid nickel ventilators for added breathability. 10 year Guarantee - Buy with confidence from Heal’s since 1810. The science of sleep: why buy an organic mattress?